With Marvel creating two or three films every year for the past decade, it is no surprise that every film adds new and unique characters from the comics to their ever-expanding film roster in order to keep things fresh and exciting. Now with film studios being more and more ambitious with the types of characters they put on screen, there has been talk about adding the character of Beta Ray Bill to the Marvel Cinematic Universe. Beta Ray Bill is a part an humanoid horse-like alien species in Marvel comics known as the Korbinites. The character first made his appearance in The Mighty Thor #337. The character is known for his interactions with the God of Thunder so much that there were plans to introduce him in Thor: Ragnarok; unfortunately plans fell through due to his cameo not having enough screen time to be worth noting. During a recent Q&A session with Infinity War directors Joe and Anthony Russo, they have confirmed that there is still interest in bringing the character in the MCU, but there just hasn’t been a proper way to introduce him onto the big screen yet. Beta Ray Bill has been discussed many times by the Russo Brothers but they could never find a good fit for the story. 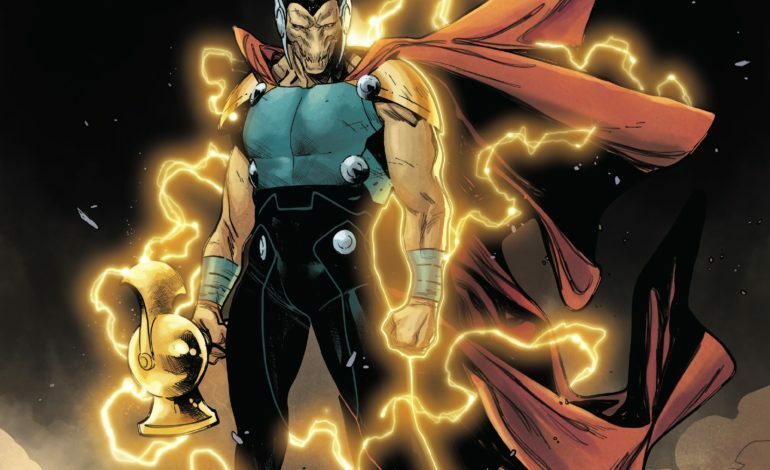 Without a proper introduction in a film like Thor: Ragnarok, it seems very unlikely that Beta Ray Bill will make an appearance in the upcoming Avengers: Endgame. However, it wouldn’t be fair to rule out his addition to the MCU entirely. With 20 films still planned after the second part of Infinity War, there’s still a very good chance that the character will appear in a future MCU title, either as a cameo, a side-character, or even in his own film. With many Marvel movies going the more cosmic-route, it’s very possible to see Bill appear in something like Guardians of the Galaxy Vol. 3. There’s a possibility of Taika Waititi making a sequel to Thor: Ragnarok and including the character, or he could show up in the Loki spin-off series being made for Disney’s streaming service. No matter what form it takes, it seems likely that Beta Ray Bill will make his debut in the Marvel Cinematic Universe sometime in the future.